We stop for whales. If conditions allow, we’ll launch the Zodiacs to get a closer look at minke and humpback whales, as well as orcas, during peak season.. Freezing is great but freedom is better. Customise your trip with a wide range of optional activities on top of regular Zodiac excursions. Explore the water by kayak, sign up for a photography masterclass, rejuvenate with some onboard yoga and a massage, take a refreshing polar plunge or camp overnight like a true polar explorer.. Whereas most polar expeditions of this kind have a crew-to-passenger ratio of ten, fifteen or twenty to one, Intrepid expeditions on the Ocean Endeavour have an expedition crew member for every 8 passengers for a greater personal touch.. Our experienced leaders have made hundreds of polar voyages between them. They’re experts in marine biology, glaciology and Antarctic history, and they’ll share their knowledge throughout the journey during a comprehensive lecture program. The Antarctic Peninsula is known for a high number of wildlife sightings in front of stunning backdrops of mountains, ice and water, which pull together for incredible scenes as we look search for whales migrating along the coast. 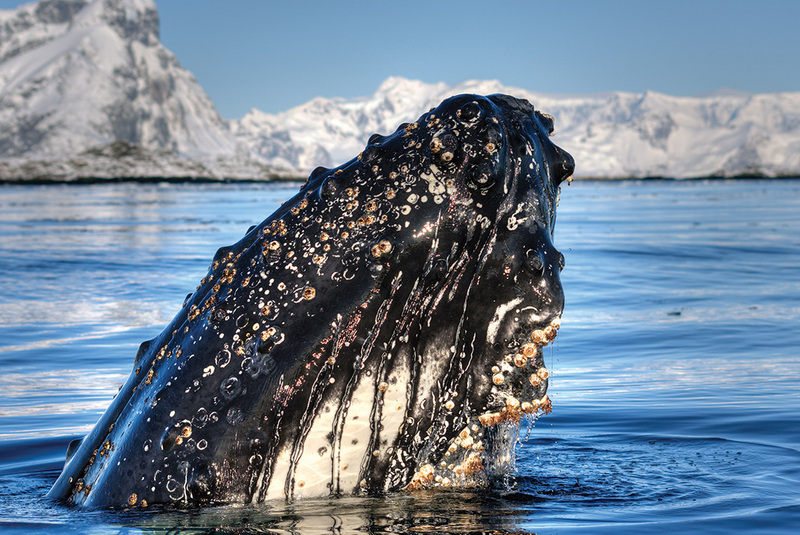 The peak of the migration season (February and March) is the best opportunity to see these majestic ocean dwellers, and the most common species found in the region are humpback, minke and fin whales, as well as orcas. 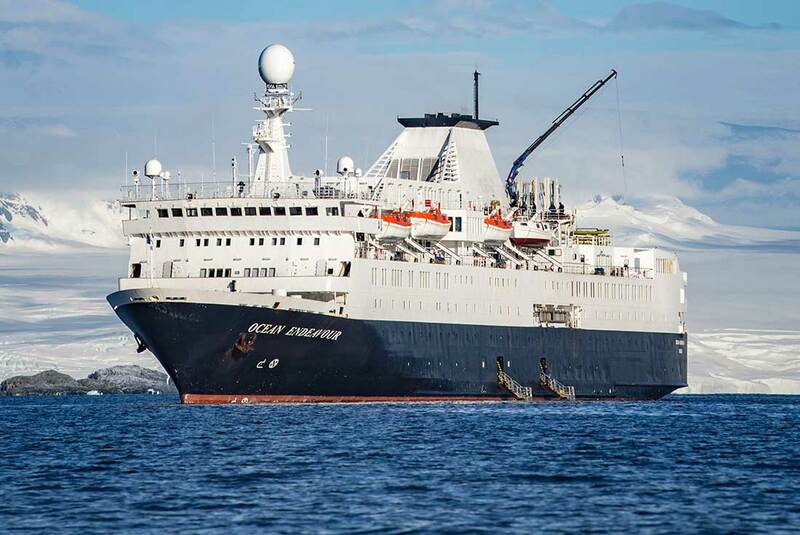 Sightings can happen from the deck of the ship or during a Zodiac excursion, and there’ll also be an opportunity to take your first steps on Antarctica during onshore exploration. 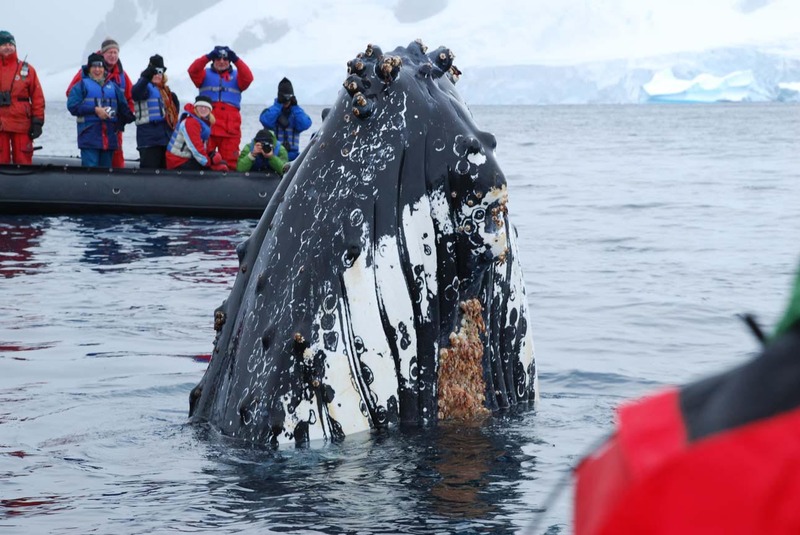 Other wildlife encounters are likely to include Weddell, elephant, crabeater and leopard seals, as well as gentoo, Adelie and chinstrap penguins. Excursions are scheduled twice daily and tailored to suit the ship’s location. Zodiac rides allow for a closer encounter with marine life, while the onshore exploration will take you to penguin rookeries and includes optional activities like snowshoeing, kayaking and camping overnight (these must be booked prior to departure). The landing sites visited will depend on the ship's location and weather conditions, but for information on potential landing sites please visit: https://www.intrepidtravel.com/au/antarctica-landing-sites The lecture program will continue throughout the voyage and the polar experts will be on-hand to answer any questions you may have. 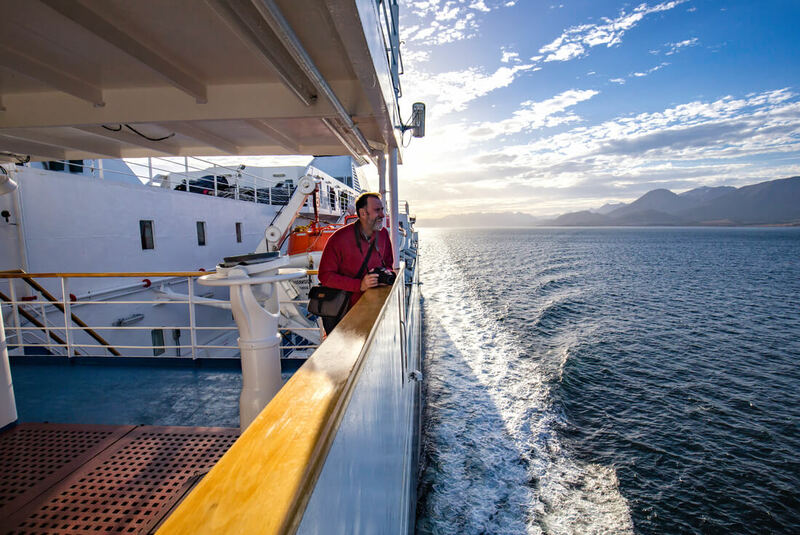 An average day on board will begin with a wakeup call from your expedition leader around 7 am, giving you time to prepare for the day before joining your fellow passengers for breakfast in the restaurant. You will usually have two excursions, one in the morning and one in the afternoon, with lunch on the ship in-between excursions.